Know the range, and shoot the exact pin with minimal movement using Xero bow sights. 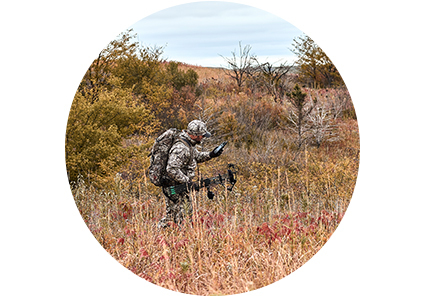 They’re the first bow-mounted digital laser range finders and targeting display systems that measure the angle-compensated distance to your target and provide an LED pin for the shot — even on those “in-between” yardages. LED pins automatically adjust brightness to conditions and allow you to see your target, unobstructed by physical pins. 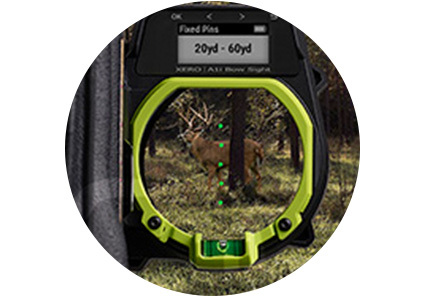 A single-button trigger lets you range at rest or full draw to game¹ up to 100 yards away or to reflective targets up to 300 yards. Both Xero A1 and A1i are customizable for single-pin and multipin configurations or manual pin selection. 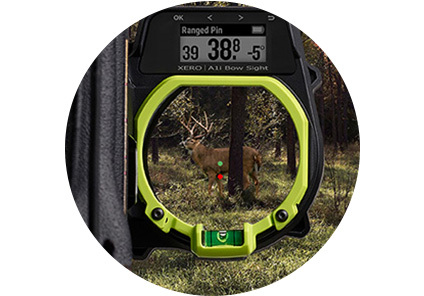 You can customize your Xero bow sight for single-pin and multipin configurations, or if you have certain favorite yardages, you can specify manual pin selections. Easily toggle between fixed pin mode and single-pin mode.